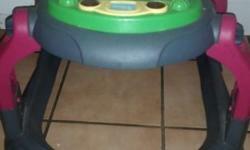 Complete Graco Travel system available - spotless - as new Includes Car Seat + Base , Pram + Cover and Carry Cot. Baby strawler and a car seat. 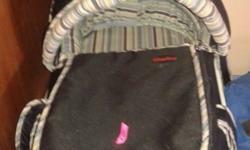 A Chelino strawler and a car seat which were hardly used. The car seat age restriction is from a new born. 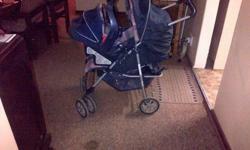 Graco travel system, complete with car bracket, chair and pram. Black and grey. Good condition. Only used about 5 months. Stroller still in good condition. Comes with first year car seat. 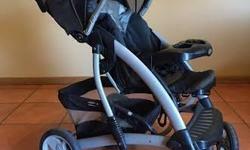 Blue pram R1200. Red pram R650 both like new. Celino Cross 8 baba waentjie (pram) saam met kar stoel. Baie mooi kondisie. Potchefstroom. Carrycot so goed soos nuut. Baie min gebruik. 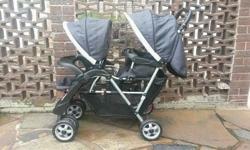 Chelino Twin pram for sale. Pram and carrycot combo for sale. 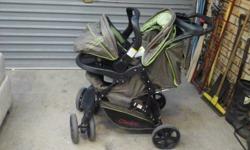 Chelino green pram and baby car seat which fits into pram,has a carry handle,in good condition,nothing broken or torn. 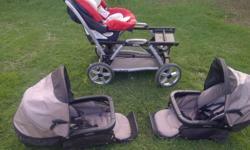 Chicco twin pram with car seats and car inserts - excellent condition. 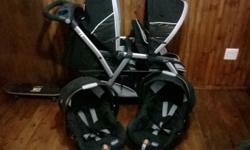 Black and Grey Chelino twin pram for sale. Good condition. Whatsapp or sms me. 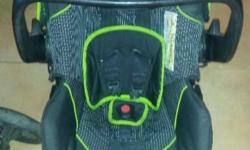 Graco pram and car seat for sale.